The Shining was an amazing book, but of course with any great story you end up having more questions. The sequel answers many of the questions I had. (Mainly, the specifics of the Shining.) We get an in-depth look at the gift or curse that is “The Shining”. Little Danny Torrence is grown up and has inherited a nasty habit from his father. That could’ve been the end of Danny’s story, but he is not the only one with the shining. A young girl is dealing with the same demons that Danny has and she needs help. How did Danny come to possess the Shining? What happened to Danny’s imaginary friend, Tony? Are the spirits of The Overlook Hotel gone for good? I definitely recommend this for fans of Stephen King. Although, if you only have the Stanley Kubrick flick to go by, you may not want to pick this one up. The movie stands on its own and is inspired by, but not an accurate adaptation of The Shining. I was pleasantly surprised by the subtle horror of the book rather than the in-your-face horror of the movie. 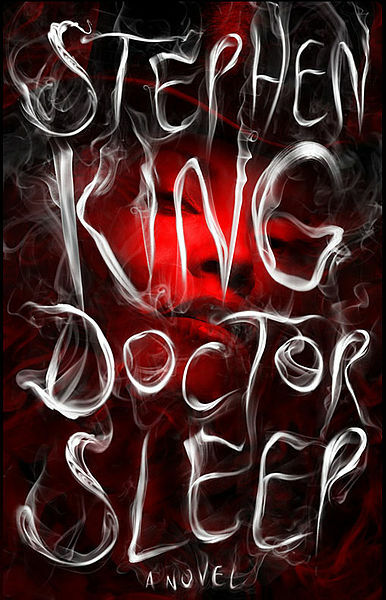 Doctor Sleep feels like an organic continuation of the book and the decades between books has not taken anything away from the story. Stephen King has done an amazing job on this book. I feel like I watched Danny Torrence grow up and have a better understanding of Jack Torrence. The Shining was a story that followed Jack Torrence’s decent into madness and in Doctor Sleep we get more insight into what lead to Jack’s alcoholism and some inferences into how Danny came by his gift.